Oscar Wilde had one of literary history's mostexplosive love affairs with Lord Alfred "Bosie"Douglas. In 1895, Bosie's father, the Marquessof Queensberry, delivered a note to the Albemarle Clubaddressed to "Oscar Wilde posing as sodomite." WithBosie's encouragement, Wilde sued the Marquess forlibel. He not only lost but he was tried twice for "grossindecency" and sent to prison with two years' hard labor.With this publication of the uncensored trial transcripts, readers can for the first time in more than a century hearWilde at his most articulate and brilliant. The Real Trialof Oscar Wilde documents an alarmingly swift fall fromgrace; it is also a supremely moving testament to the rightto live, work, and love as one's heart dictates. This rich and rewarding volume collects more than two dozen of the most memorable opening and closing arguments made by top prosecutors and defense attorneys of the last one hundred years. Carefully selected to explore every major aspect and challenge of the legal process, these speeches highlight the tactics and strategies, colorful language, and stirring rhetoric that lawyers use to win judge and jury to their side. With a shrewd eye for courtroom stratagems and a keen understanding of the social currents that shape them, Manhattan assistant district attorney Joel Seidemann introduces and illuminates each speech from an insider's perspective. Arguments from landmark trials are included to reveal the smartest tricks of the trial lawyer's trade and demonstrate the power of an impassioned presentation to tip the scales toward the fulfillment of justice. We are obsessed with watching television shows and feature films about lawyers, reading legal thrillers, and following real-life trials. Yet, at the same time, most of us don't trust lawyers and hold them and the legal system in very low esteem. In The Myth of Moral Justice , law professor and novelist Thane Rosenbaum suggests that this paradox stems from the fact that citizens and the courts are at odds when it comes to their definitions of justice. With a lawyer's expertise and a novelist's sensability, Rosenbaum tackles complicated philosophical questions about our longing for moral justice. He also takes a critical look at what our legal system does to the spirits of those who must come before the law, along with those who practice within it. 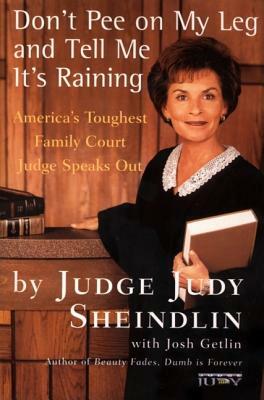 n we get some reality in here?ߡsks Judy Sheindlin, former supervising judge for Manhattan Family Court. For twenty-four years she has laid down the law as she understands it: ● If you want to eat, you have to work. ● If you have children, you'd better support them. If you break the law, you have to pay. If you tap the public purse, you'd better be accountable. Now she abandons all judicial restraint in a scathing critique of the system - filled with realistic hard-nosed alternatives to our bloated welfare bureaucracy and our soft-on-crime laws. "Fascinating....Loaded with perceptive and provocative comments on Shakespeare's plots, characters, and contemporary analogs." --Justice John Paul Stevens, Supreme Court of the United States "Kenji Yoshino is the face and the voice of the new civil rights." --Barbara Ehrenreich, author of Nickled and Dimed A Thousand Times More Fair is a highly inventive and provocative exploration of ethics and the law that uses the plays of William Shakespeare as a prism through which to view the nature of justice in our contemporary lives. Celebrated law professor and author Kenji Yoshino delves into ten of the most important works of the Immortal Bard of Avon, offering prescient and thought-provoking discussions of lawyers, property rights, vengeance (legal and otherwise), and restitution that have tremendous significance to the defining events of our times--from the O.J. Simpson trial to Abu Ghraib. Anyone fascinated by important legal and social issues--as well as fans of Shakespeare-centered bestsellers like Will in the World--will find A Thousand Times More Fair an exceptionally rewarding reading experience. If you are concerned about estate planning you may be surprised that, even with a will, the probate system can eat up as much as 10 percent of an inheritance and delay the process two years. In The Living Trust, noted living trust authority Henry Abts presents a simple, inexpensive legal alternative that eliminates the costs and delays of probate and ensures that your loved ones will receive their inheritance promptly and exactly as you intended. This new edition has been completely updated to reflect the federal tax codes and up-to-the-minute developments in the legal system. @lt;b@gt;Taking Sides@lt;/b@gt; volumes present current controversial issues in a debate-style format designed to stimulate student interest and develop critical thinking skills. Each issue is thoughtfully framed with an issue summary, an issue introduction, and a postscript or challenge questions. @lt;b@gt;Taking Sides@lt;/b@gt; readers feature an annotated listing of selected World Wide Web sites. An online Instructor's Resource Guide with testing material is available for each volume. @lt;i@gt;Using Taking Sides in the Classroom@lt;/i@gt; is also an excellent instructor resource. Visit www.mhhe.com/takingsides for more details. For courses in basic and advanced criminal investigation. This well-established text brings together the authors' more than 50 years of investigation experience and focuses on the fundamentals of inquiry and each element of investigation. The text reflects the most recent investigative techniques and technology and features real-life case studies to help students develop their ability to analyze, evaluate, and reason. Its approach is concise and manageable and this edition includes a new chapter on the evolution of policing and investigation, four new case studies, and new review questions to reinforce each concept. Now in a Second Edition, this comprehensive reference book includes key terms from criminal justice, criminology and criminal law. Ideal as a companion reference in any criminal justice, criminology or criminal law course, the book is an invaluable tool for students and professionals, providing clear, complete definitions of all-important terminology. The first and BEST-SELLING brief introduction to criminal justice text, "Criminal Justice: A Brief Introduction 8e" continues to offer instructors and students a trusted, authoritative and impeccably researched introduction to the criminal justice system in America. Now with a CJ careers feature and learning objectives aligned with end-of-chapter questions, the book provides both a streamlined and up-to-date look at this ever-evolving field. Known for its unifying theme, its unmatched timeliness and its coverage of the newest criminal justice trends and technology, this book has become THE standard by which all other brief texts are judged. When Closed Chambers was first published, it was met with a firestorm of controversy as well as a shower of praise for being the first book to break the code of silence about the inner workings of this country s most powerful court. In this eloquent, trailblazing account, with a new chapter covering Bush v. Gore, Guantanamo, and other recent controversial court decisions, Edward Lazarus, who served as a clerk to Justice Harry Blackmun, presents a searing indictment of a court at war with itself and often in neglect of its constitutional duties. Combining memoir, history, and legal analysis, Lazarus reveals in astonishing detail the realities of what takes place behind the closed doors of the U.S. Supreme Court an institution that through its rulings holds the power to affect the life of every American." With The Official Guide To Legal Specialties you'll get a behind the scenes glimpse at dozens of legal specialties. Offering expert advice for making one's legal career a spectacular success, this book includes trade secrets like how to make a great first impression, how to turn down work when you're swamped without saying the dreaded "no", and how to negotiate for more money.